Fat Lad At The Back was set up to make cycle clothing which fits people without a racing snake figure. The brand majors on its Yorkshire roots and sense of humour. We've tested its Bobby Dazzler short sleeved jersey. 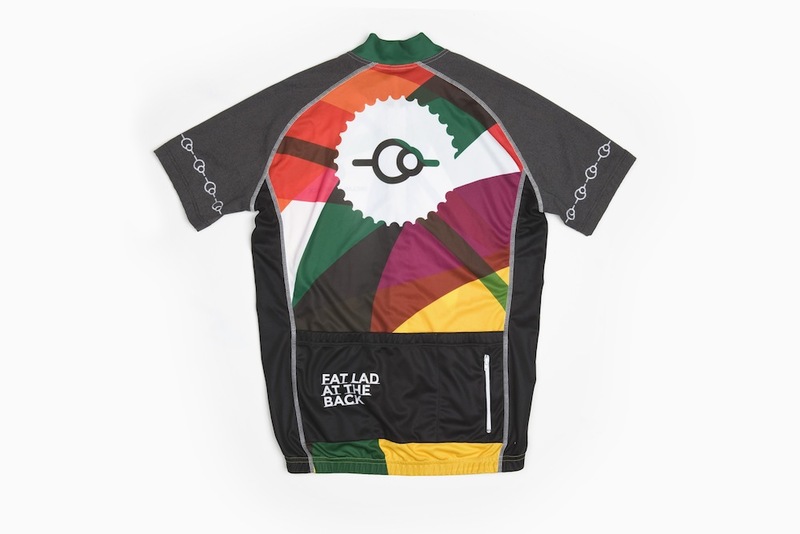 Fat Lad At The Back (alias FLAB) is based in Yorkshire and produces cycle clothing in larger sizes and with a bit more room in it, designed for the classic MAMIL shape. It was started in 2013, when its founder Richard Bye realised that there was a market for cycling clothing designed for men who were not racing snakes. The company started off with a range of kit designed to fit 44 inch chests and 38 inch waists and made in Italy. Over time, the company’s range has grown to include women’s kit and even larger men’s kit too, up to 58 inch chest size. Despite not being a racing snake, I certainly found there was plenty of extra room in the Bobby Dazzler. Its loose fit meant that there was a bit of windflap, but nothing too obtrusive and there was plenty of room around the shoulders and upper arms. All the jersey’s seams are flatlocked and there’s a full-length zipper with a good sized, robust puller and a fourth zipped rear pocket. The fabric is quite airy and the colours very bright, but the Bobby Dazzler’s piece de resistance doesn’t show up until the sun goes down. The sleeves and shoulders are made of a pixelated fabric which reflects car headlights to let drivers know you’re there. Fat Lad also makes a long sleeved version of the Bobby Dazzler, with the entire arm being made of the reflective fabric, so you will light up like a Christmas tree during the cooler months. Visit the Fat Lad At The Back website for more details.